A wuxia story of martial arts and rebellion set in the ruins of post-apocalyptic Toronto. But Fredericton is a long way from the shores of Lake Ontario, and schemes for power will bring together three extraordinary young warriors. Sworn enemies or reluctant allies, they all have one thing in common: an incomplete half of the legendary fighting skill known as the Triumvirate sword art. 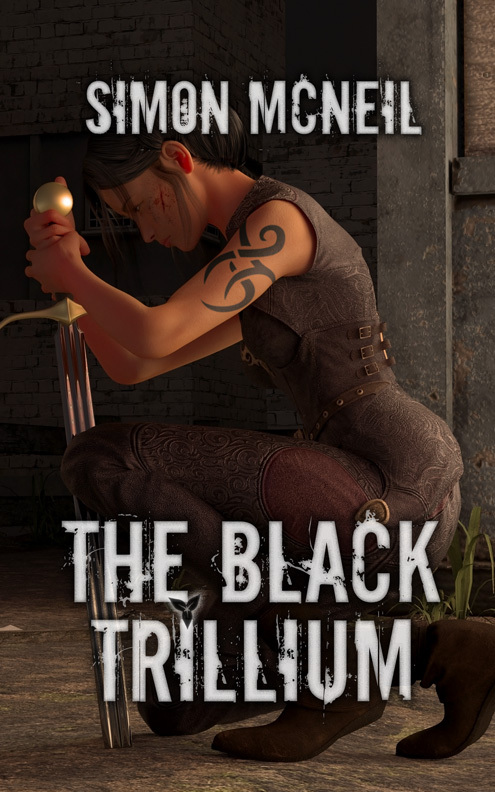 They fight for glory, for power, for the monsters lurking beneath the streets, and for the mysterious society moving in the shadows of Trana—the Black Trillium. If you read the Black Trillium, and you liked it please consider leaving a review on whichever service you used to purchase it.